I haven’t watched an early-evening commercial news broadcast for a long, long time. 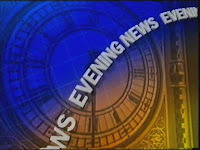 So when I was in Brisbane recently and flicked on the 6pm news I was shocked by the lack of depth in the bulletin I saw. Before being accused of naivety, I know that ratings and advertising revenue are driving these news programs. Yet even allowing for this I was still taken aback by the “nothingness” of the news content. I don’t mean that in a pompous “the only news items worth broadcasting are major political and international stories” way. I am an advocate for the idea that the twists and turns in local relationships are of crucial importance to local people. What alarmed me about these stories was that there was no appreciation for the depth of story “behind the story.” For example, the second story of the bulletin was about two young people who had urinated in the main war memorial pool. The commercial networks know that if a story can be spun along the lines of “denigrating the memories of diggers” then buttons will be pushed and airtime will be sold. So the local RSL head is placed in front of the camera to call for “young people to be brought to justice” and “the only way to stop this behaviour is to make an example of the perpetrators.” My frustration with all of this is that it gets us nowhere ….NO WHERE! The issue occurs, the veterans are stirred up, the vox pop encourages government to harsher penalties and the network bottom line expands ….. and the world locks itself tighter into a pattern where more young people will piddle in more ponds as a re-action to that world.